Why didn't I watch this sooner? 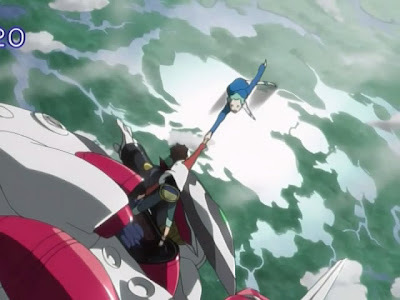 Being a 2005 anime, I was skeptical about Eureka Seven. Although it was pretty popular, I still neglected it, since I wasn't really into the concepts of mechs and stuff like that. I was introduced to this by a good friend of mine....and I was not disappointed. A couple of episodes later, I found myself hooked. Its not a harem, its not generic, and it is something quite new to me. 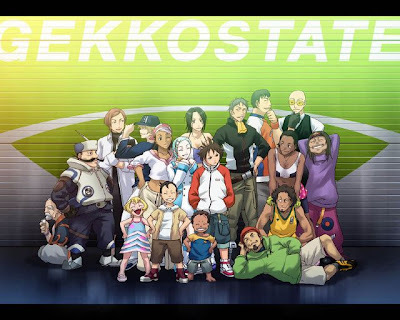 Bearing similarities to Xamd:Lost memories, Eureka seven does a great job letting viewers experience life on a ship filled with illegal smugglers and criminals, and quickly shows how entertaining it is as the story ramps up. 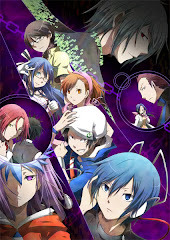 Well since this is a long anime with 50 episodes, I won't go through the endings, but I'll do the openings, which should I say, are mostly great selections for the anime . The first opening is "Days" by flow, and it quickly escalated to one of my favorite Flow songs. Its slower and more peaceful pace was something incredibly enjoyable, and is always pleasing to listen to. The animations are also spot on, and is probably my favorite amongst the forth. The second opening is "Shounen heart" by Home made Kazoku, and believe it or not, this is my first song from them. I was not disappointed, and it quickly became my favorite song among the four openings. The animations are also great, my second favorite among all the opening animations. 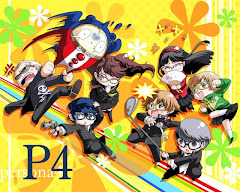 The 3rd opening, in my opinion, was the only bad one among the three. "Taiyo no Mannaka he" by Bivattchee was a pretty rough and somewhat annoying song. Its all in the vocals man, it sounds like a pretty bad song overall, and I thought the opening animations were kinda off sync with the song. The 4th opening is "Sakura" by NIRGILIS, and it is pretty good. It is the only opening song sang by a female voice, and I must say her voice along with the opening animations can be quite captivating. 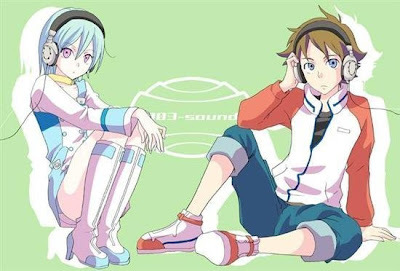 I did not regret watching Eureka seven. Why is it that my many recent animes are of such great quality. Though it is a 2005 anime, unlike old shows like Bakuretsu Tenshi, Kaibutsu Oujo or Inukami....Eureka Seven actually looks GREAT! The visuals and animation quality are unreal for a 2005 anime, and is on par with other animes with great visual quality back in the older days (Darker than black S1, Shakugan no Shana S1). The story is good, and escalates to epic levels towards the end. Character development for most of the characters in the show also make for one of the best selling points in this anime, which I, personally, enjoy watching the most. The action is good, and the anime's concept of mechs riding riftboards is just badass! The anime is filled with many epic and heartfelt moments. 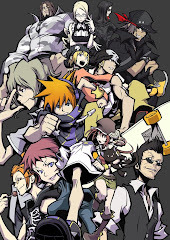 So, anime, main character, young boy, name, Renton Thurston. Well, you get the idea, that's how all animes go. Renton is a regular kid yearning for a more interesting life. His dream is to go lifting with his board, but the air waves in his town are too static and stagnant for him to actually do any lifting. Things are only going to go more downhill with his boring life, until one day, a LFO landed at his grandfather's garage area, destroying his room. The LFO is called the Nirvash, and is piloted by a girl named Eureka. Deciding to help the girl, Renton and his grandfather decide to patch the LFO up, until they realize that the girl and LFO are being targeted by officials. The LFO goes into battle, and Renton's grandfather asks to deliver a device of extreme power, the Amita drive, to Eureka, to power up the LFO. After that, Renton follows the girl Eureka to her home, the Gekkostate, a ship filled with criminals and mercenaries. Thus ends his boring life, but little does he know how stressful it is to live life as a Gekkostate member. A pretty long post for an anime, but I just had to do it, since this IS an awesome anime, comparable to many modern day ones. THIS is something people can legitimately waste their time on. Eureka Seven is a great anime that manages to accomplish many things into one package. Story, action, character development, and its concept. With so many good points, how does one not be entertained by such an anime. It can get draggy at times since it is 50 episodes, but you'll feel entertained 90% of the time.